Comprehensive waiter job description. The job of a waiter or waitress includes a wide range of tasks and duties that vary according to the type of employer. However, there are a number of generic activities and responsibilities that are core to the job. These frontline staff are key to the success of a restaurant business as they are responsible for meeting the customers' needs and expectations. The job and competency requirements for a waiter position are largely standard throughout the hospitality industry. 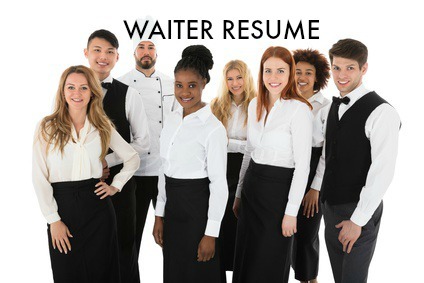 Adapt this sample job description for waiter jobs to suit the job you are specifying. To accurately and completely take food and beverage orders, efficiently serve food and beverages to customers and attend to customers' needs. 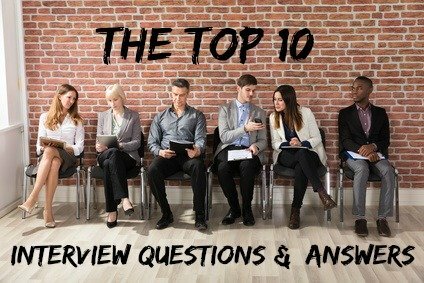 Do you want to write a job-winning resume? This waiter resume sample will help you. Insert the relevant waiter job description details into the easy-to-use example. Send a persuasive cover letter with your resume. This waiter cover letter is an excellent guide to writing your own letter. 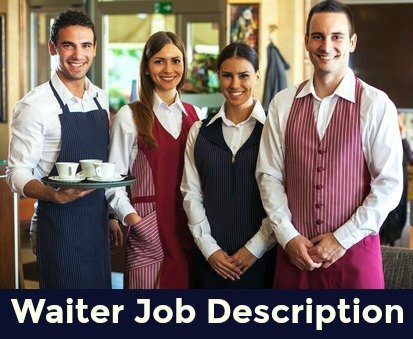 These hospitality industry job descriptions will help you develop your waiter job description.